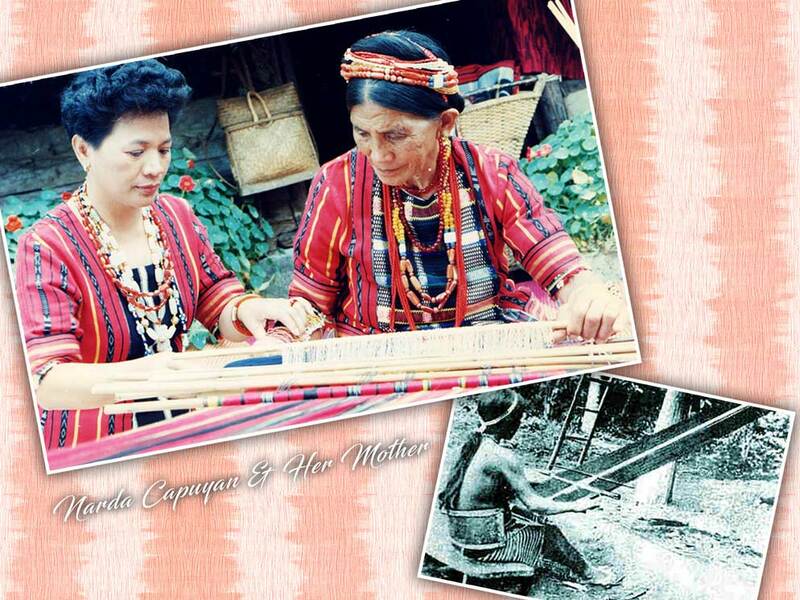 The hand weaving industry in the Philippine Cordilleras today was popularized by Narda’s along with other enterprises. Along with the other weaving groups existing today, Narda’s maintain the back strap weaving for culturally specified purpose fabrics and the upright loom for commercial purposes. 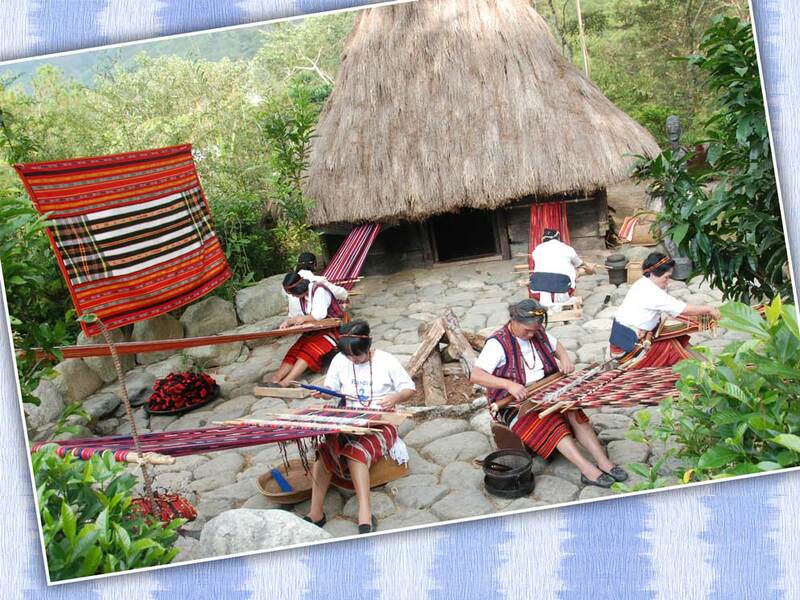 The upright loom is adopted by the Cordillerans, or more popularly known as Cordis, from the lowlander Ilocano loom. The Cordis, like Narda’s, see the use of the upright loom, which can accommodate wider warp span and longer weft, in commercial production of rolls of fabrics for dresses, scarfs, shawls, polos, barongs, hoodie jackets, bags, placemats, runners, wall hangings, etc. Narda’s even innovated on colors, using shades which are not in the traditional palette to adopt to current lifestyle. Culturally specified purpose fabrics woven in the backstrap loom includes the blanket for the dead, wedding garb, and other traditional fabrics used in the Cordis’ cultural rituals. The back strap loom parts are lasting and do not need difficulty in maintaining because these are made of wood, sticks, bamboos and rattan so they do not corrode to form rust. 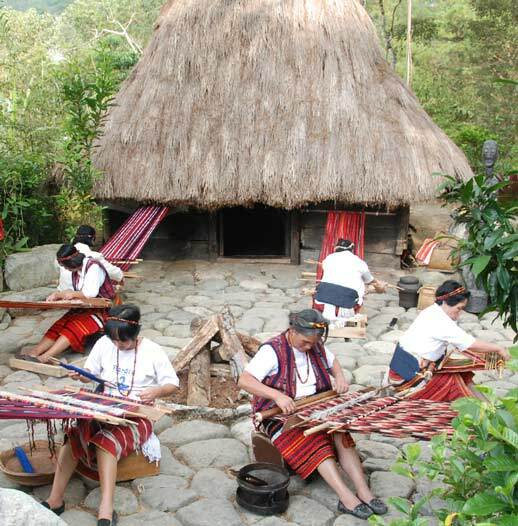 Back strap weaving in the Philippine Cordilleras is a living tradition promoting Cordilleran values of cooperation, solidarity, teamwork, cohesiveness and creativity. 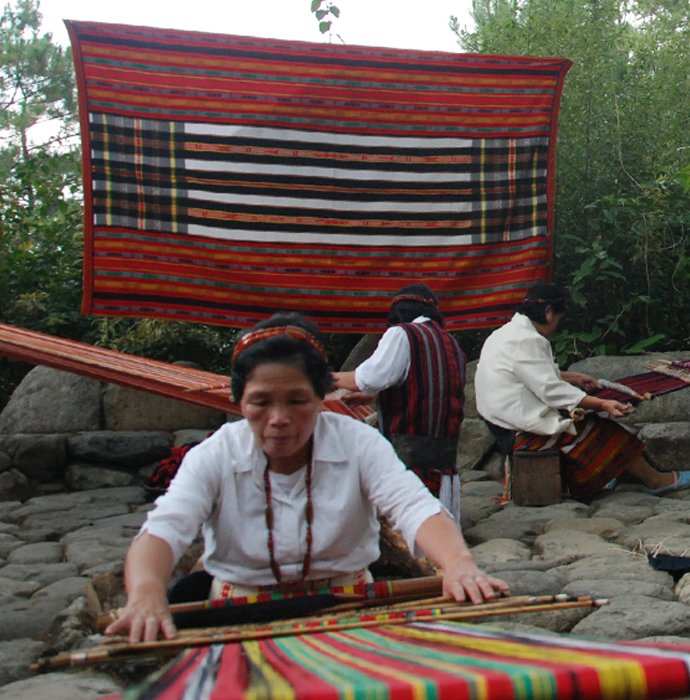 The hand weaving industry in the Philippine Cordilleras is not just a tradition but also a means of community teamwork, socialization and cooperation. Weavers are primarily farmers. Weaving is done after farm work is done. Weaving in the early times was not considered work but a form of recreation. In the process of winding, warping, weavers discuss issues, joke with one another, eat together and communing with each other becoming closer and stronger as a group through weaving cooperation. Backstrap weaving does not need a wide area and it’s mobile because the parts are not assembled upon actual weaving, just rolled, it can be moved from one place to another without difficulty. Since it is mobile, weavers can decide to assemble and weave anywhere, under their houses or a tree where others can just come and socialize with them. Any passerby can stop and help in the weaving, entangling any entangled thread or would do any errand for the tied weaver. Ifugao Ikat weaving is a style of weaving that uses a resist dyeing process on either the warp or weft before the threads are woven to create a pattern or design. The result of this process is a motif which is fuzzy in appearance. This blurry look comes from the slight bleeding of the dyes into the resist areas. Ifugao Ikat is characterized by diamond stripes of white and red stripes. It is known for its colors and striking design patterns. There are several types of Ikat weaving: warp ikat, weft ikat, and double ikat. Warp Ikat is when only the vertical yarn, the warp, is tie-dyed for weaving. It’s used when regular patterns are to be woven. It’s difficult to weave because the weft colors are to be thrown precisely against the warp patterns. Weft Ikat on the other hand, is when only the horizontal yarn, the weft, is tie-dyed for weaving. This results in a more irregular and organic fabric design. When both the warp and the weft are tie-dyed, that’s the double Ikat. This requires utmost precision skills in counting and mounting the warp yarns and in throwing the weft shuttle against the warp patterns in actual weaving. 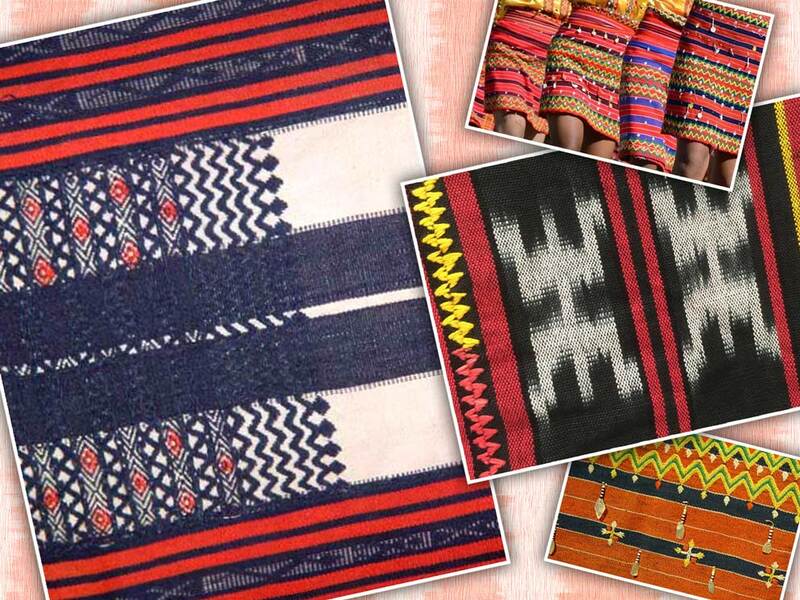 Bontoc hand woven fabrics are characterized by motifs that include geometric shapes of things around them such as man, lizard, mountain, rains and flower. Siniwsiwan is Bontoc’s blanket and clothing. This fabric is used for wanes or men’s G-string (Bahag) and getup or Lufid (Tapis) among women. Married women of Bontoc and Kankanaey wears a type of belt called ginaspala wanes with inawin which is a continuous zigzag pattern. Narda’s partnership with the Philippine Textile Research Institute (PTRI) encourages Narda’s further to the use of science to advance technologies in the hand-weaving industry. The partnership with PTRI firms the traditional foundations of Narda’s craft without losing sight of possibilities Narda’s is likely to miss because of Narda’s reliance on what it used to doing. 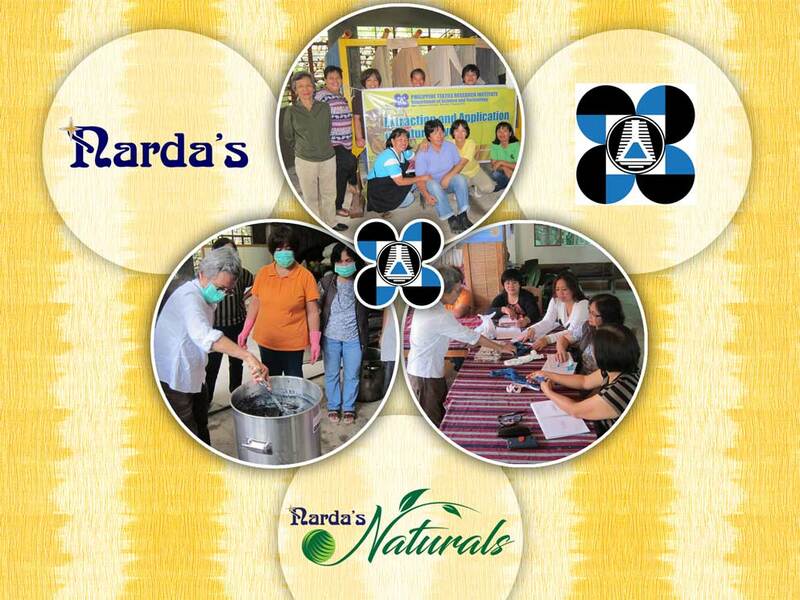 PTRI provides Narda’s immediate and direct support through trainings on natural dyes. PTRI is instrumental in encouraging Narda’s to use plant materials available in Narda’s workshop area such as cogon, turmeric, and mahogany. Narda’s also sends staff to PTRI to be exposed to new developments in the field. It’s heartening to work with an accessible government office, PTRI, where workers demonstrate utmost professionalism and enthusiasm for their work. bugnay and the pine varieties that grow in abundance in Narda’s workshop area. These excursions and workshops is a fertile soil that allows Narda’s to grow a new line of garments for our brand called, Narda’s Naturals where we retain the practice of traditional weaving along with the knowledge of ikat, but this time, we have decided to create textiles using locally grown cotton and natural dyes. 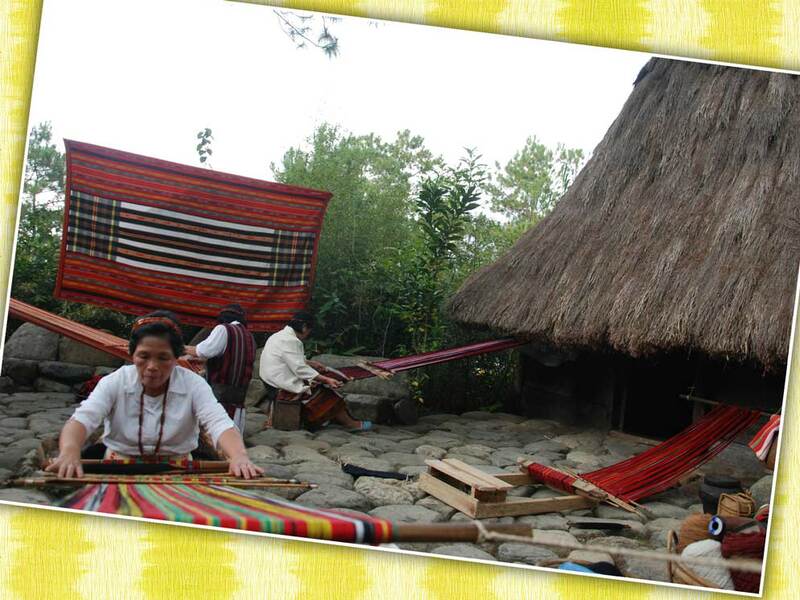 Weaving is an integral part of Philippine Cordillera culture, an important element and component of the community. The weavers weave their culture and heritage into the fabrics Each community has its respective design, symbolism and color palette. It’s an identifying detail from each community, including the cut and pattern of the dresses they wear. The fabrics are as well identifiers of one’s status in the community. Important and integral weaving as it may be in the community, with the advent of tourism and trade, it became a cottage industry, an alternative source of income. All members of the weaving family are involved, each playing a role in the weaving process, from, cotton separation, dyeing, drying, spinning and weaving. Back strap loom is what’s used in weaving in the upland communities as opposed to the upright loom of the lower altitude communities. The back strap looms are either heirlooms through generations or as gifts from the husbands. But the weaving industry in the Philippine Cordilleras faces many challenges with a stronger and faster cultural exchange and influences, modern weaving technology and consumerism. Skilled weavers are diminishing by the year is another hurdle. Weavers are old and the younger generation is not interested in the tradition. Market development, enterprise management and product development are another. 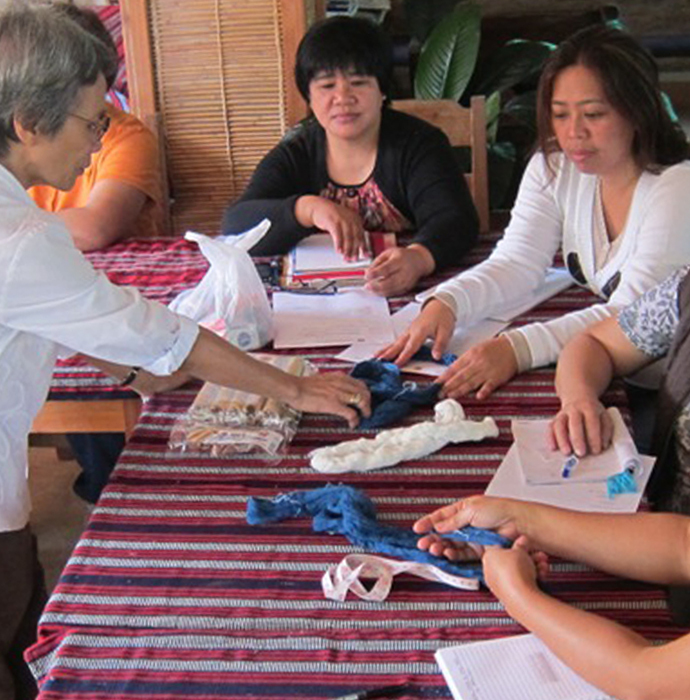 Though organizations, Local Government Units, government departments like Philippine Textile Research Institute (PTRI), Department of Science and Technology (DOST), Department of Trade and Industry (DTI) and even the Department of Tourism (DOT) extend a helping hand, the Philippine Cordilleras weaving industry still have a lot of challenges to overcome. But we hope the tradition will live on for the generations to come. As a native of Besao, Mountain Province, Narda’s founder’s, Narda Capuyan, familiarity with weaving in the region developed through time, most especially when she transitioned from being a family-planning nurse counselling Cordilleran mothers to becoming an entrepreneur. It was her business sense that facilitated weavers in the region, who were mostly mothers coming from rural, mountain communities, to be self-sustainable bearers of culture. Her efforts also attracted those who were similarly motivated to join her in the task of uplifting the lives of weavers in the Cordillera. Narda Capuyan’s enchantment with ikat thus began when a friend of hers, Ellen Schattschneider, then working as a Peace Corps volunteer, came to teach her the modern process of tying and dyeing. 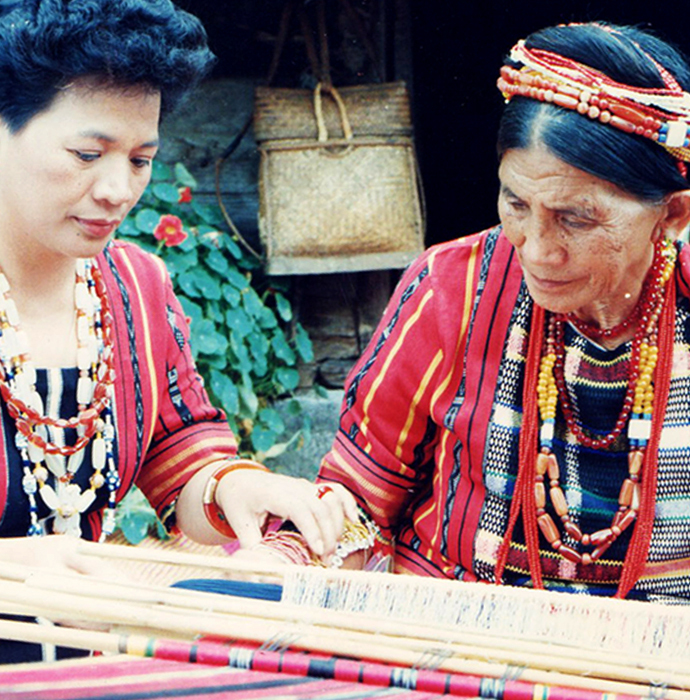 As our founder, Narda Capuyan, came to witness the technique in practice, it became easier for her to understand how ikat in the Cordillera came to be practiced by the Ifugaos. Knowing how to weave, though not always sitting behind the loom, made Narda Capuyan come to appreciate the difficult and laborious process of loom weaving while also seeing the possibilities of innovating on the methods she currently employed with her people. 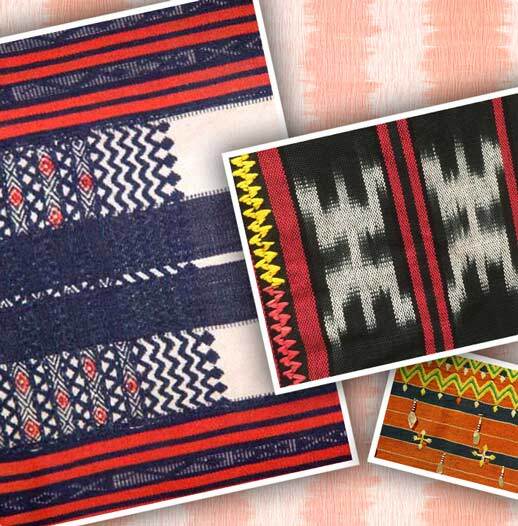 A combination of the ikat technique and the traditional methods of weaving in the Cordillera and Ilocos Regions then yielded a freshness and vividness to the new textiles that would come to be produced. Reverence was still afforded to the types of weaves done in the traditional palette, especially as these were regarded to form part of solemn ceremonies. These traditional weaves carried with them the dignity of a people’s identity. However, the world of ikat allowed Narda’s an opportunity to flex creative muscles, experiment with color and create a line of wearables and home accessories. These proudly Philippine Cordilleran products were valued both by a domestic audience, especially as pasalubong or gifts bestowed by Filipinos upon foreign visitors—and by internationals themselves who considered her products to be chic and fashionable heirloom items to own. 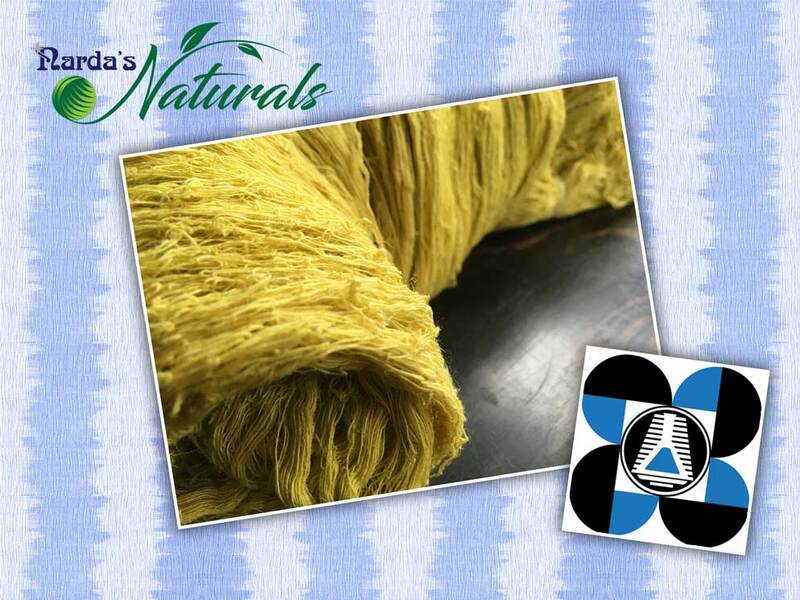 As the demand for the products grew along with an increased recognition of uniquely Cordilleran weaves, the brand Narda’s came to have resonance among Filipinos. Narda’s collaboration with the Philippine Textile Research Institute (PTRI) allows Narda’s access to other raw materials like local cotton, cotton abaca, and cotton piña. If Narda’s relies solely on it’s pride as a company—Narda’s weavers—it would have been bound by tradition to depend on trade to get these materials for our weavers to use. 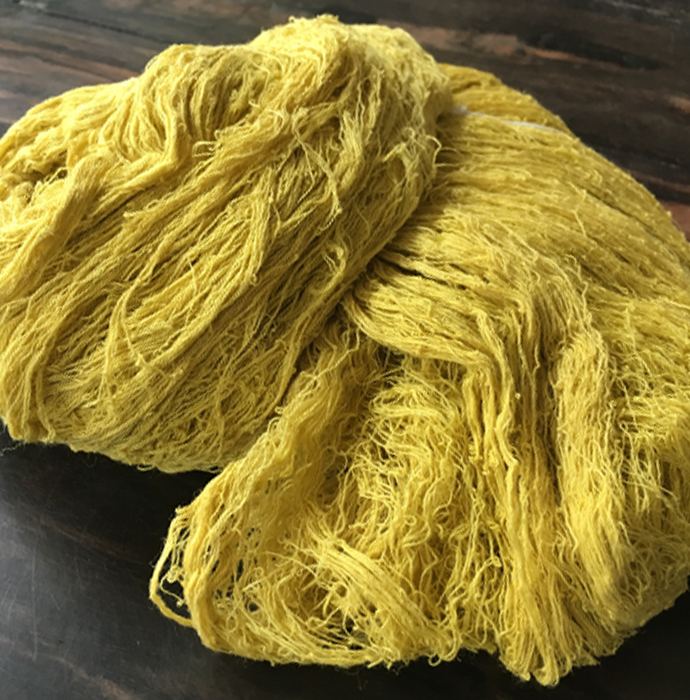 Today, we are looking toward using fibers extracted from four locally available plant sources that we submits for evaluation: the lobster claw, runo, rattan, and sunflower. So far the results have shown that among the four, lobster claw has potential.